Swedish metallers THE HAUNTED will release their ninth studio album, "Strength In Numbers", on August 25 via Century Media Records. The disc was recorded at Parlour Studios in n Kettering, Northamptonshire, England with producer Russ Russell (NAPALM DEATH, DIMMU BORGIR, THE EXPLOITED). THE HAUNTED guitarist Ola Englund comments: "Working on 'Strength In Numbers' with Russ Russell as an engineer and producer has been an incredible experience. His attitude and positivity has helped us to truly do our best when recording. He's just a killer guy to be around." He adds: "All the tracking for the album has been completed and Russ is right in the middle of mixing and mastering it. And from the early mixes I've heard, it's shaping up to be insanely heavy. No clean singing, no banjo, no pickup trucks... so fans of country music are gonna hate it, haha! Seriously: Heads are gonna roll. In a good way..."
Last year, Englund told Kaaos TV about the upcoming follow-up "Exit Wounds" album: "I think that with 'Exit Wounds', there was a lot that THE HAUNTED needed to prove, because it was some kind of a comeback album, in a way. And I think the pressure of that album, we don't have that with this one, so with this one, we can take more time, we can focus more on maybe quality. And we don't have to do everything super fast or play super-fast songs." He continued: "I think for the dynamic of the album, it will be a lot better this time than 'Exit Wounds'. 'Exit Wounds' was just a head-on, super-intense album from start to finish, and I think with this one, it's way more dynamic sounding. I mean, from the songs that we've written so far. So it's gonna be interesting." Asked if they felt they were rushed during the making of "Exit Wounds", Ola said: "Not necessarily rushed, but it was stressful for us [during] the recording. I mean, we had a deadline, and we were basically late on that deadline a couple of times. If we had gotten more time, we could have put a lot more effort into that album. But everyone was waiting for the album, and we had to do something. But we're still happy with the album." Added vocalist Marco Aro: "[Now] the people understand that we're back and we're around, so we don't have to try to catch a window where we need to fit in there. So, as Ola said, we can keep it a bit more relaxed and more thoughtful." 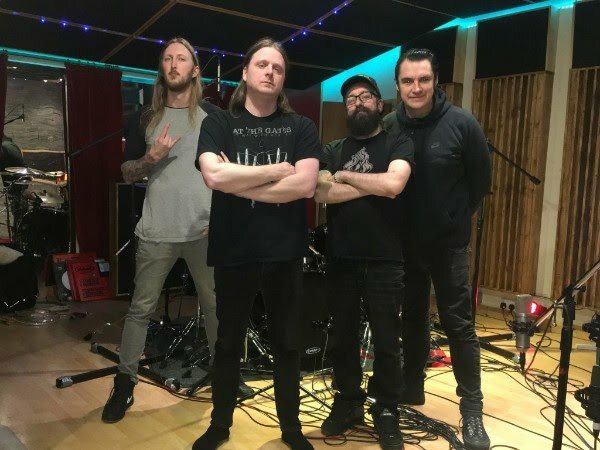 "Exit Wounds" was recorded with THE HAUNTED's longtime producer Tue Madsen at Denmark's Antfarm Studio (DARK TRANQUILLITY, HEAVEN SHALL BURN, SICK OF IT ALL). 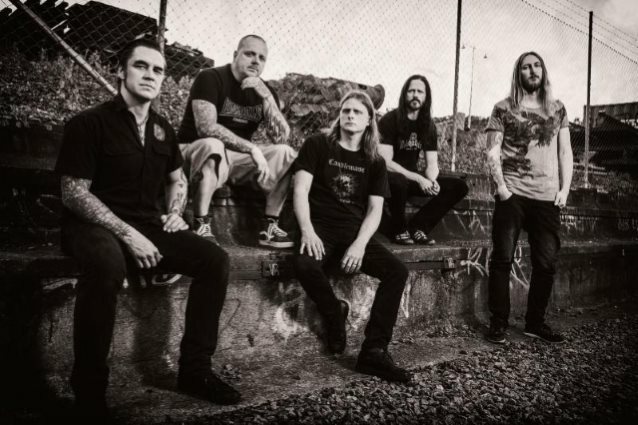 Having recently been announced to appear at the lauded Sweden Rock Festival, THE HAUNTED has also confirmed a string of tour dates across Scandinavia in support of the upcoming album.